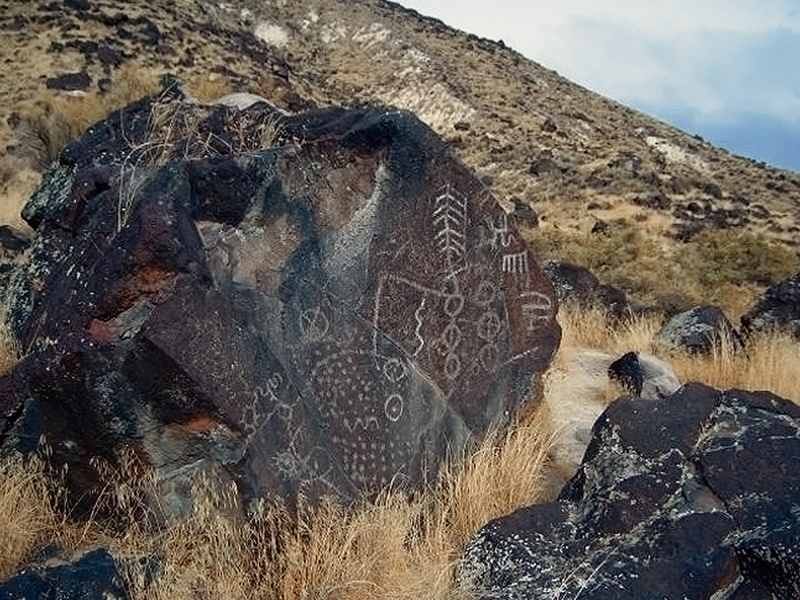 The Great Basin encompasses most of the present state of Nevada, the eastern half of Utah and portions of southern California. 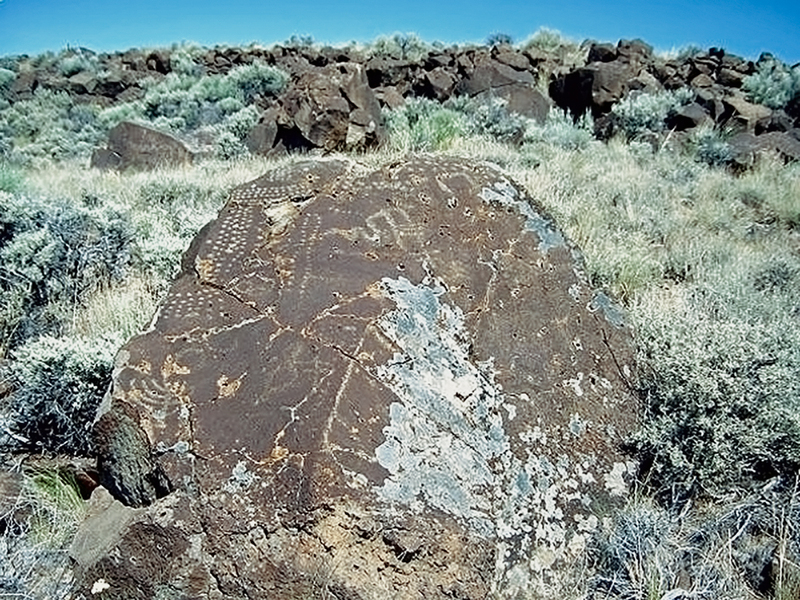 South central and eastern Oregon and southern Idaho are located on the northern boundary. 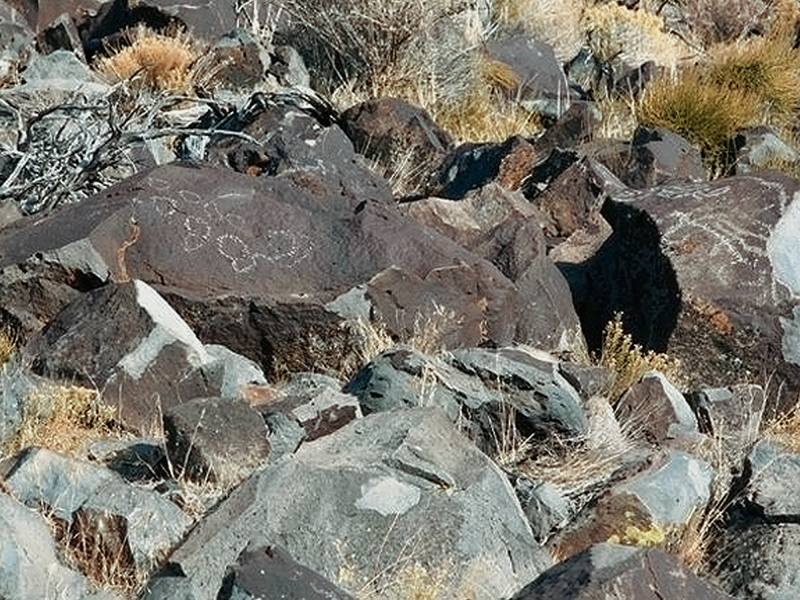 The Great Basin area is an area where precipitation has no outlet to the ocean. 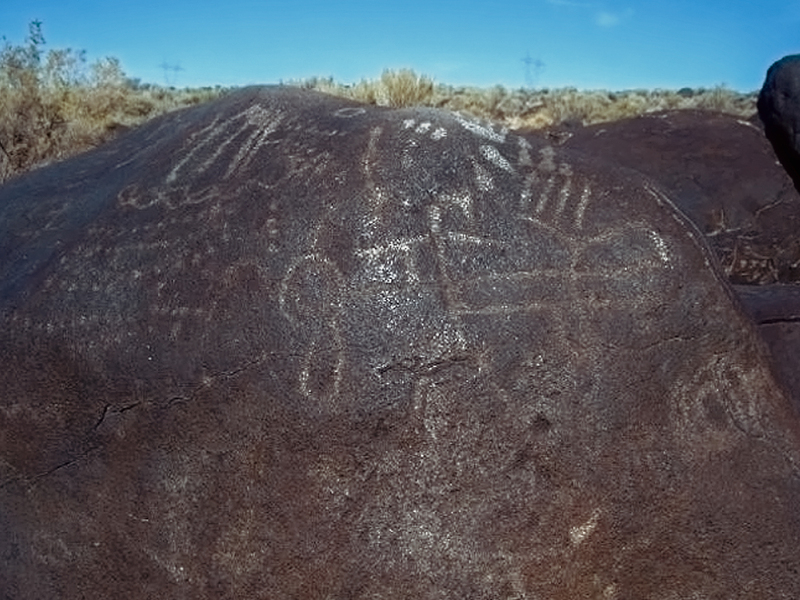 Lake Bonneville, existed around 14,500 years ago and covered more than 20,000 square miles in Utah and parts of Idaho and Nevada. 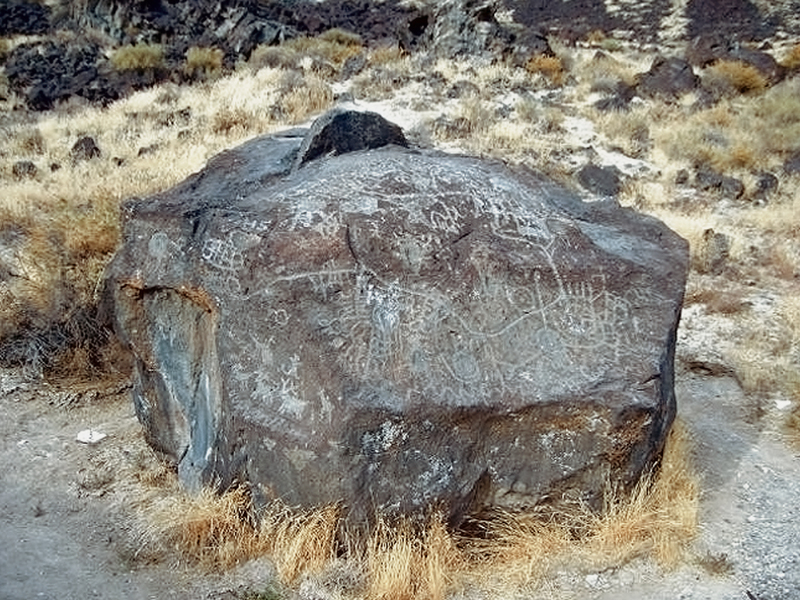 The water level of Lake Bonneville maintained a fairly constant level for hundreds of years until the water level in a singular event dropped approximately 400 feet when part of Red Rock Pass, which was holding back the water, eroded. 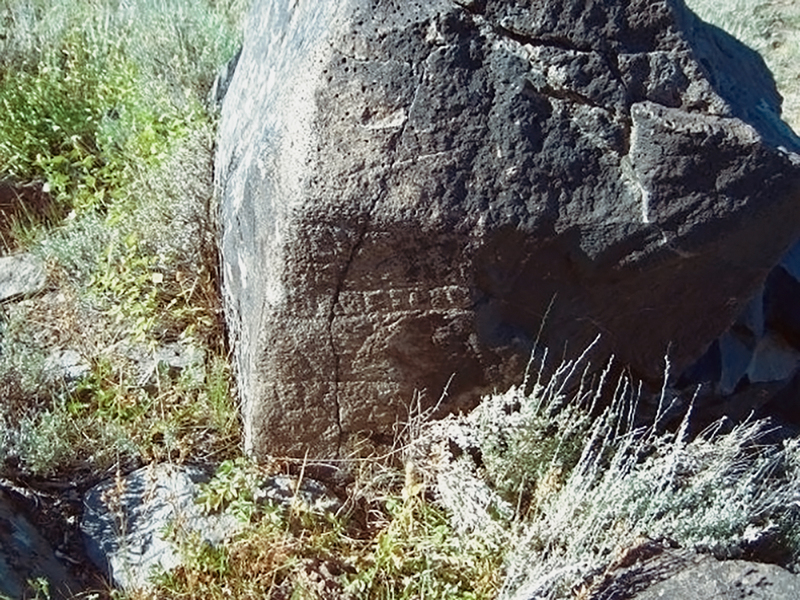 The ensuing floodwaters flowed down the Snake River and joined the Columbia River near the Tri-Cities. 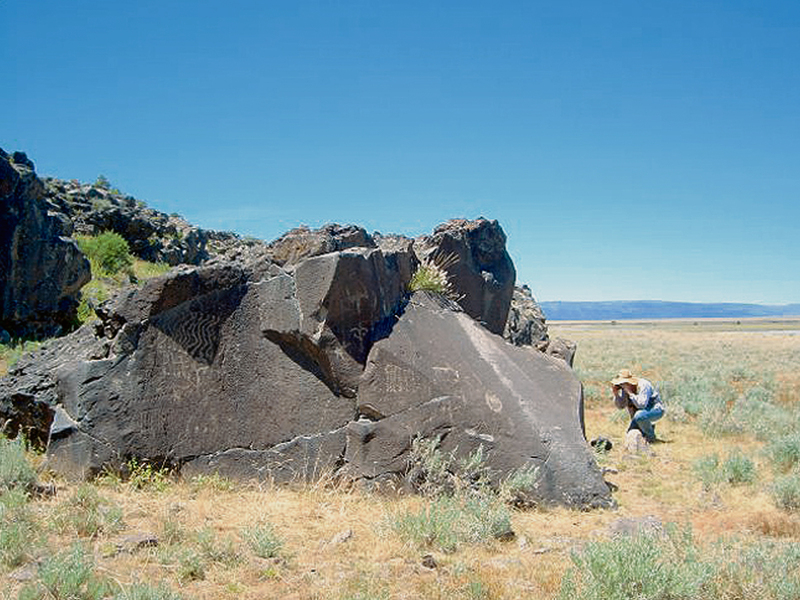 For a short period of time, the resulting floodwaters from Lake Bonneville increased the size of the Snake River and the Columbia River by more than 20 times their normal flow. 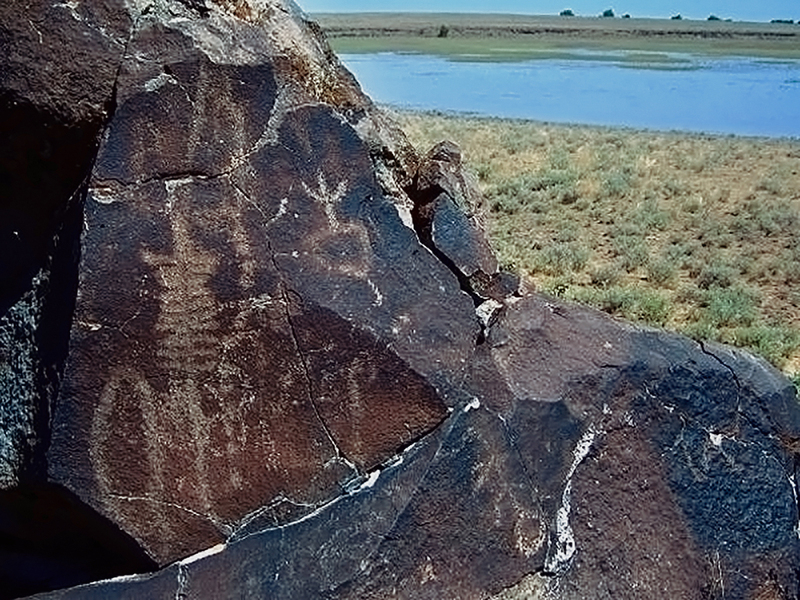 After the flood occurred, the water levels of the Great Salt Lake eventually subsided close to where they are today. 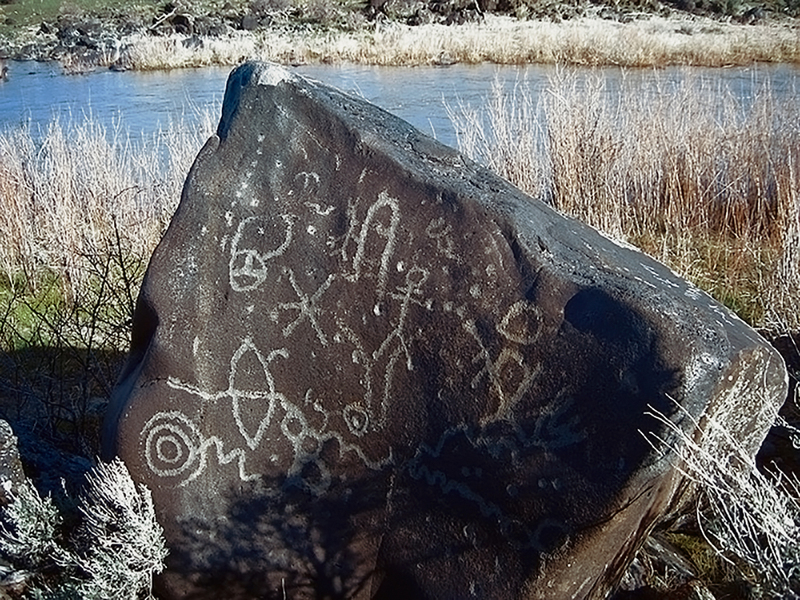 The area once occupied by the lake and other similar bodies of water is now known as the Great Basin. 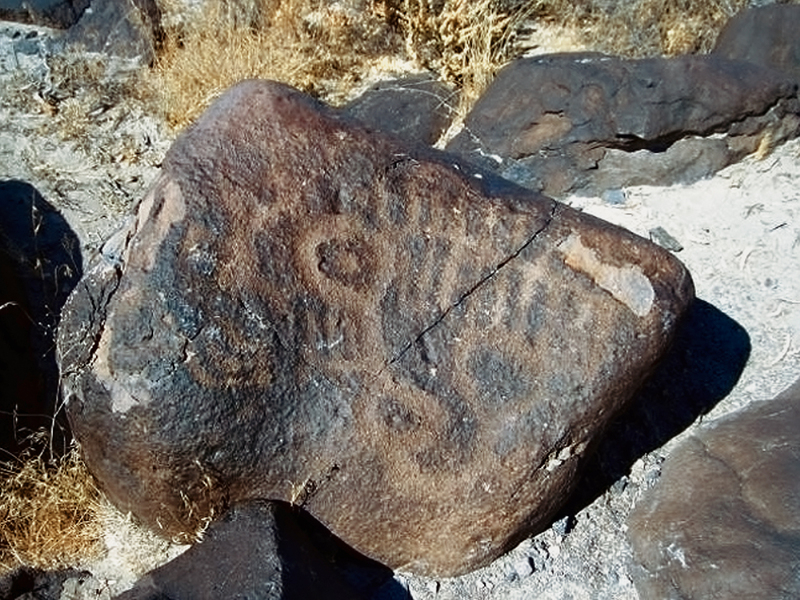 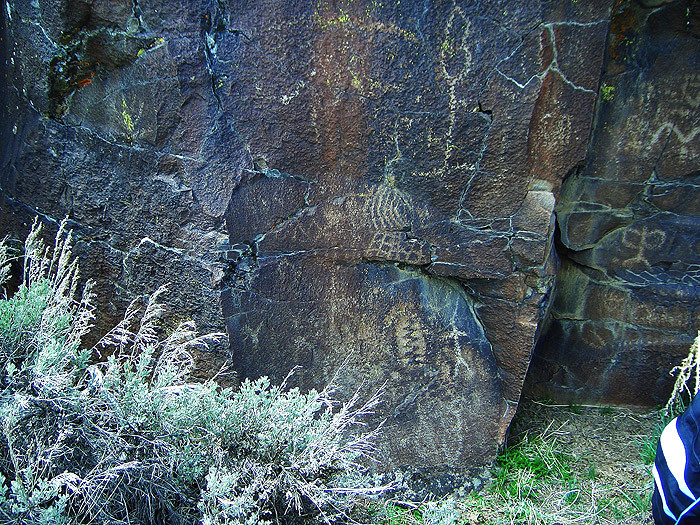 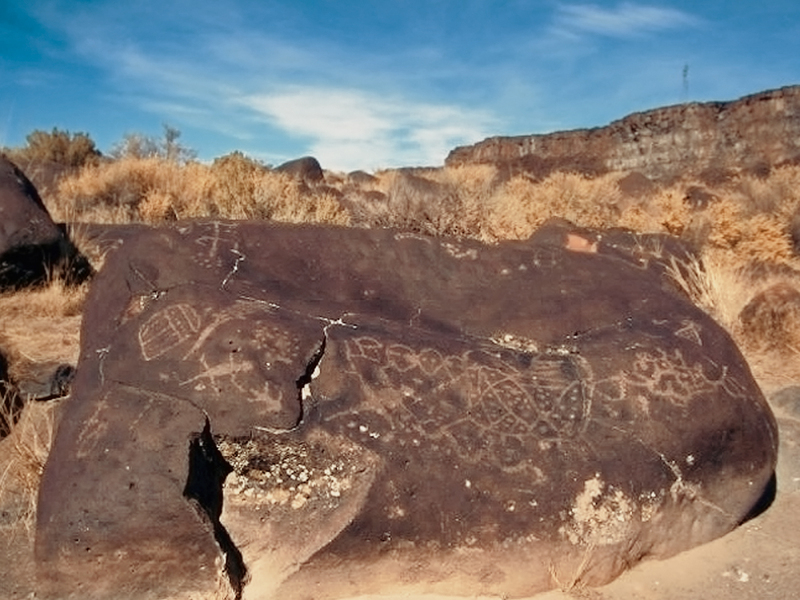 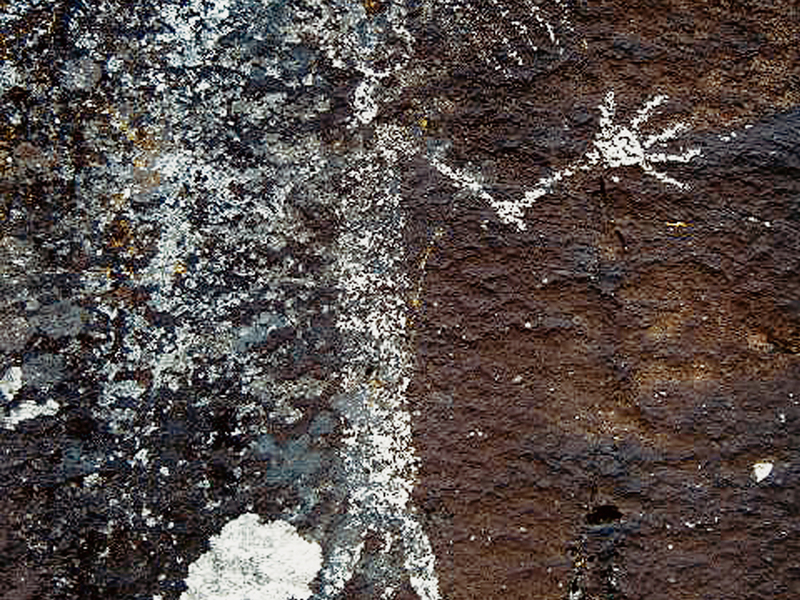 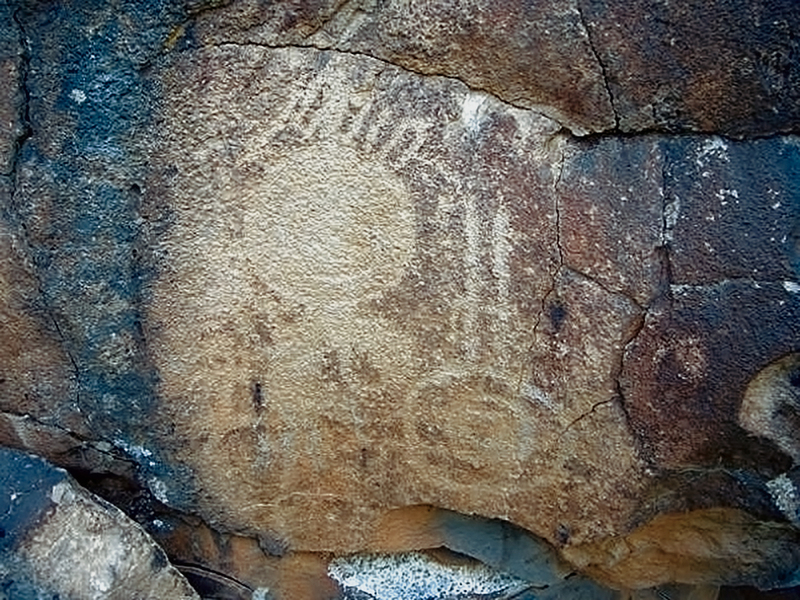 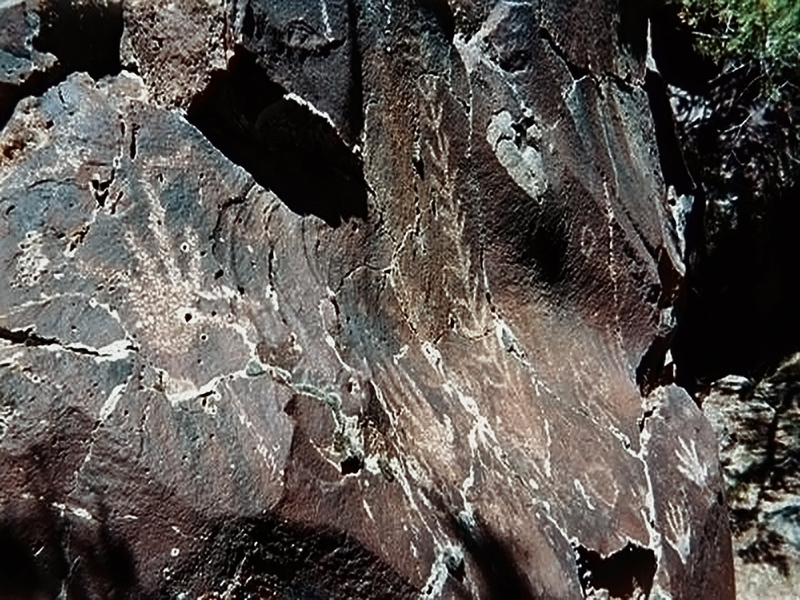 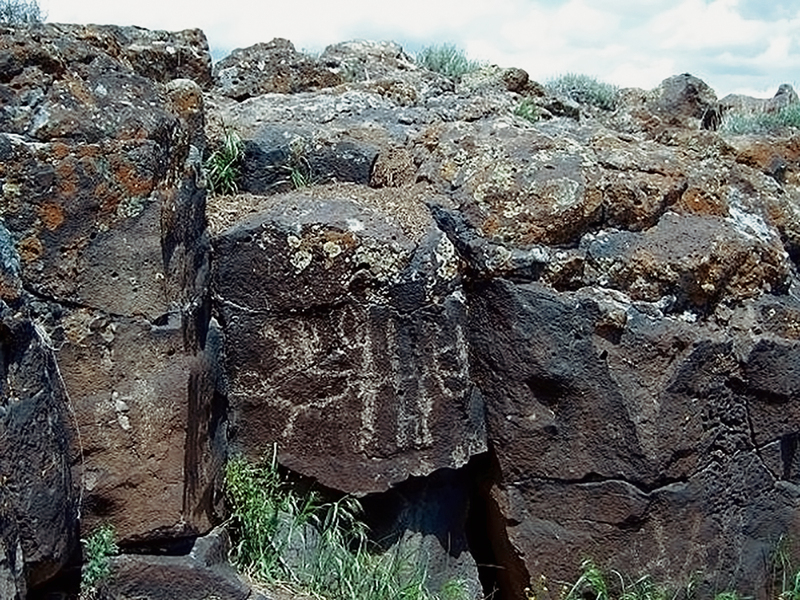 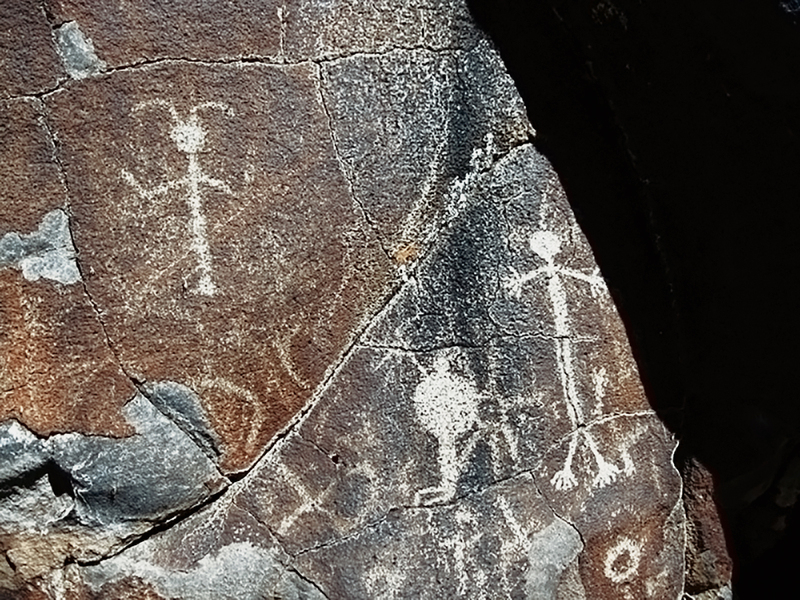 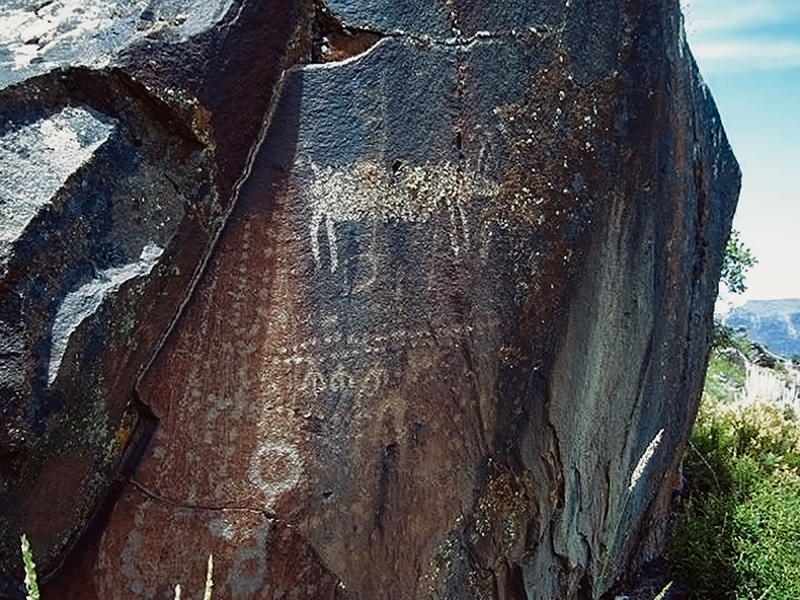 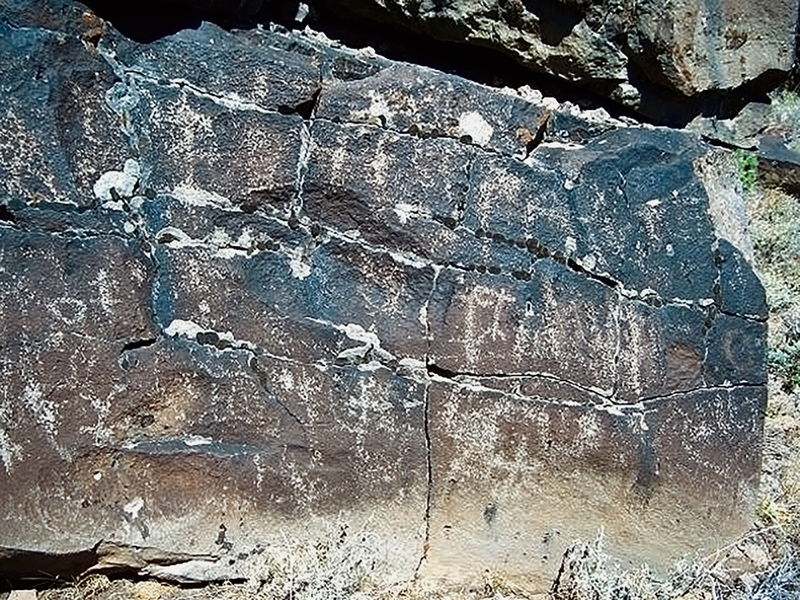 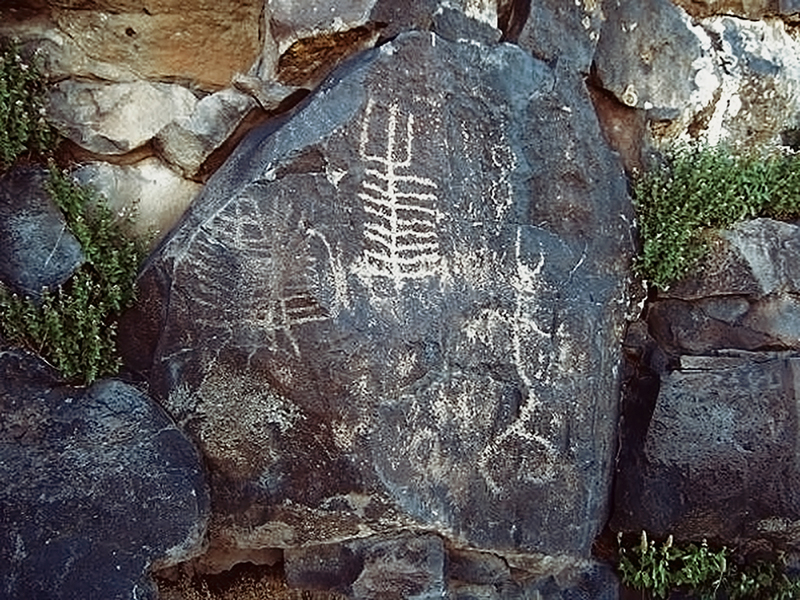 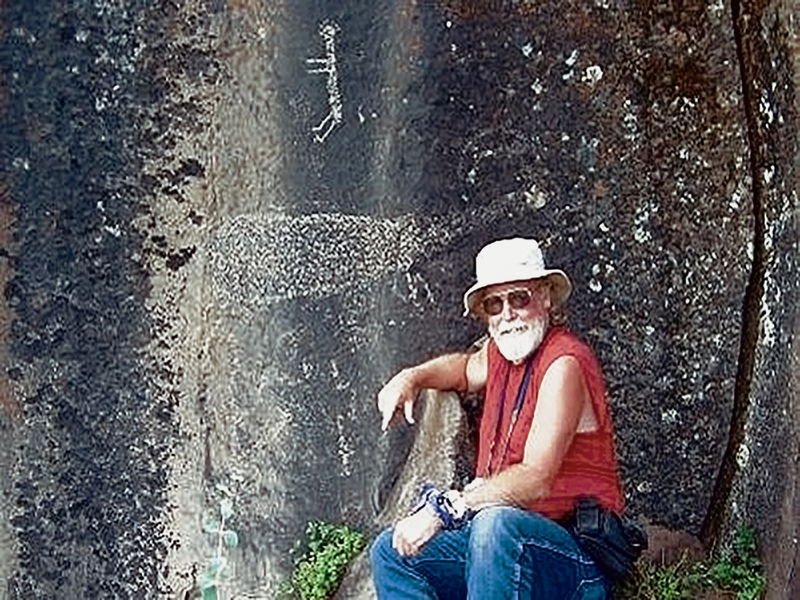 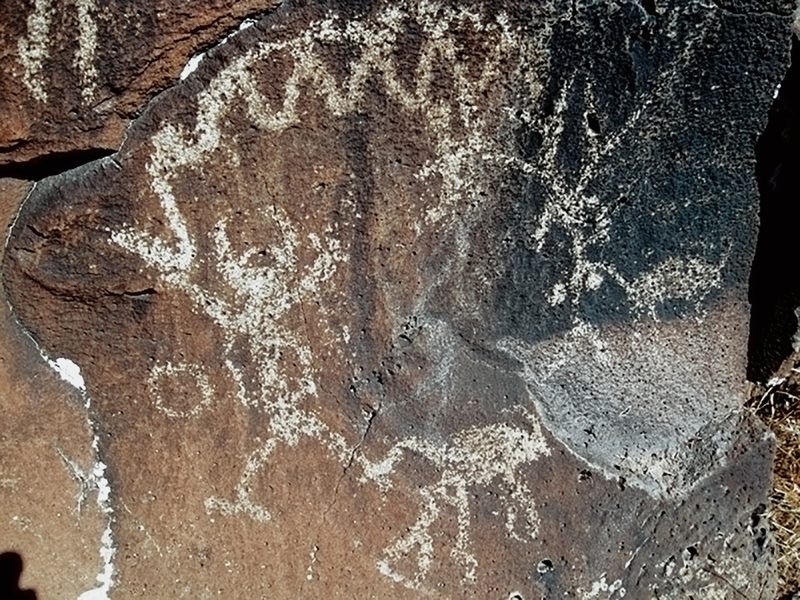 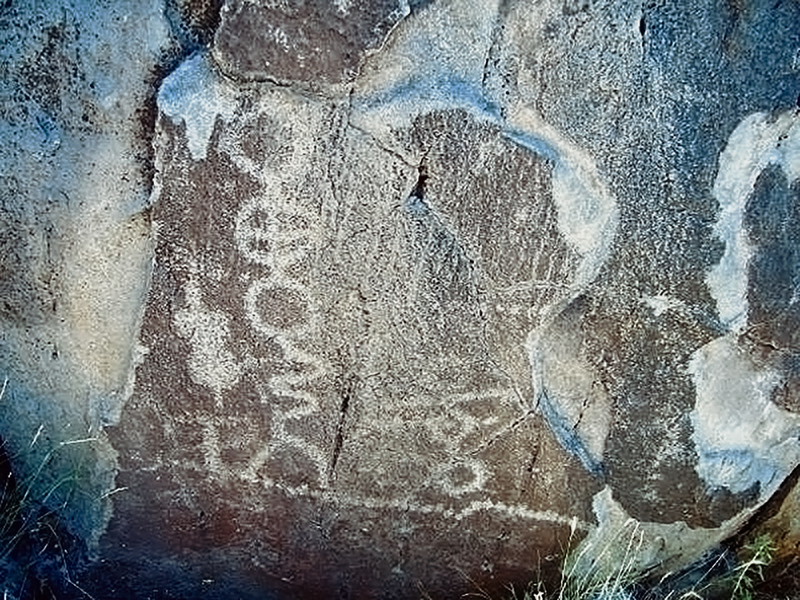 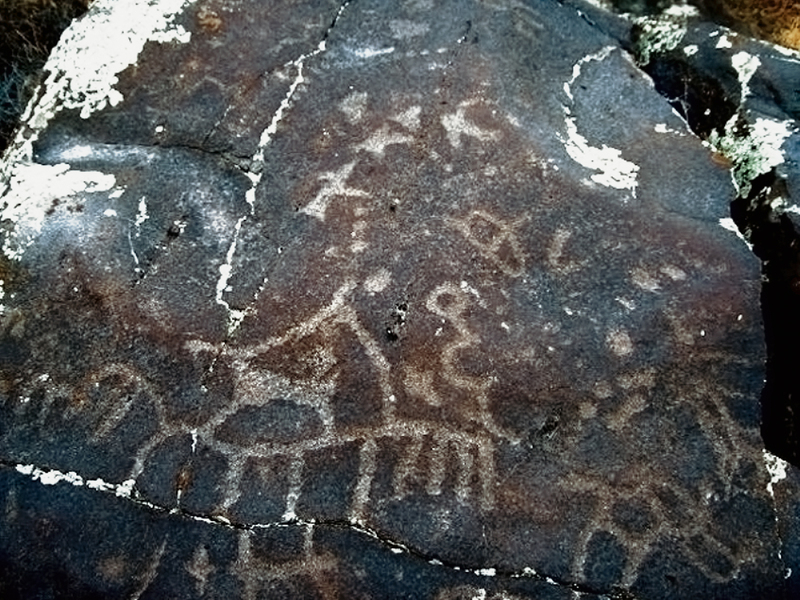 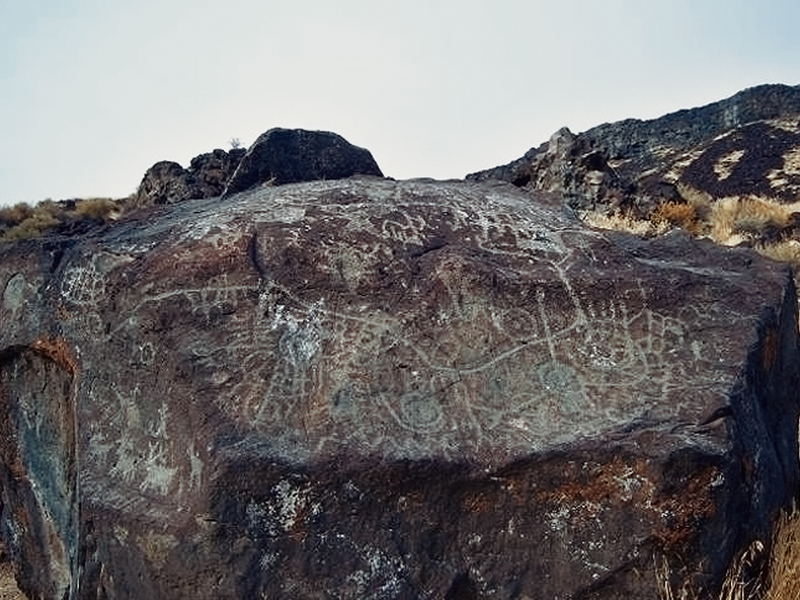 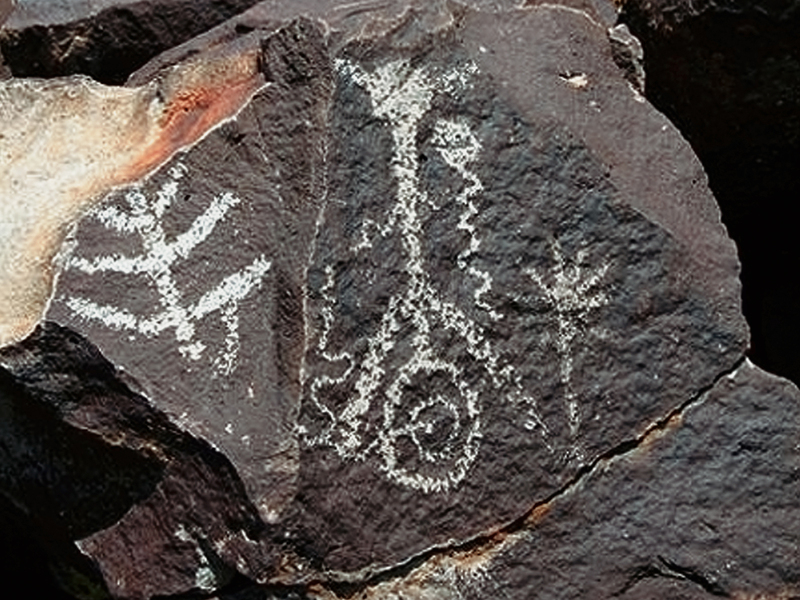 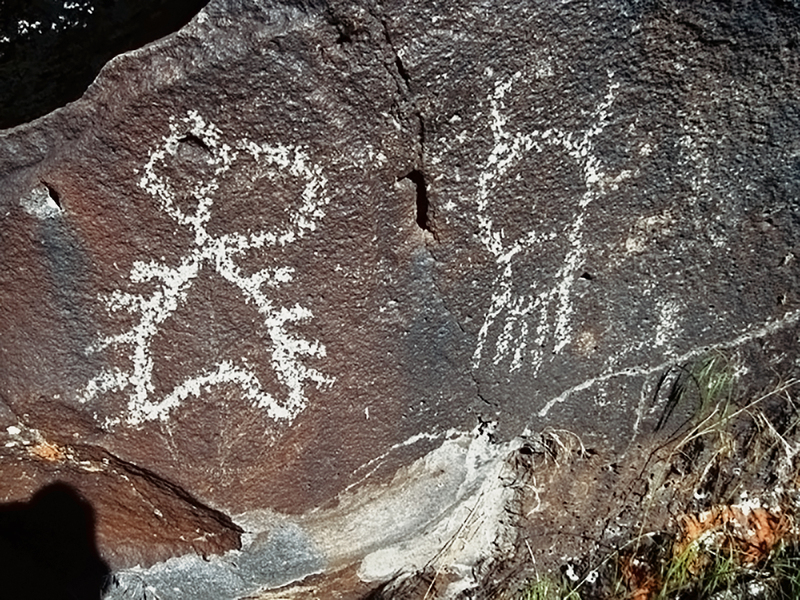 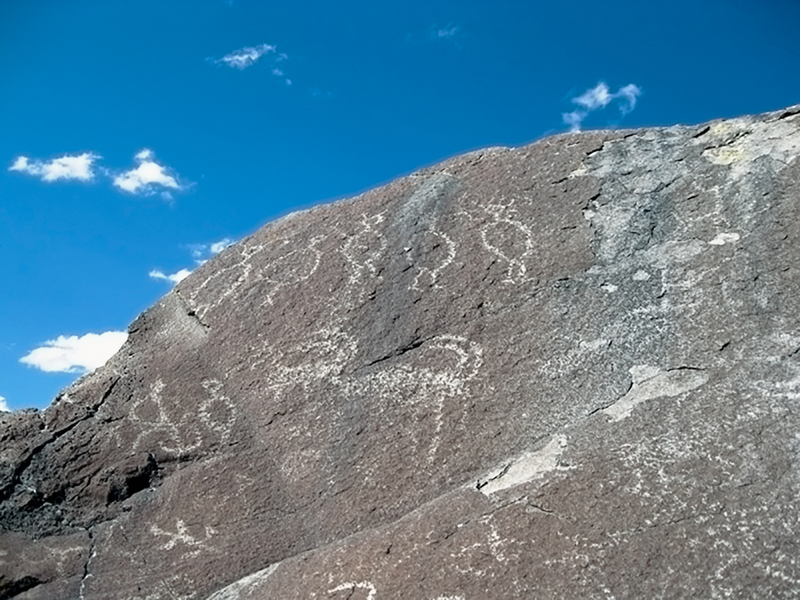 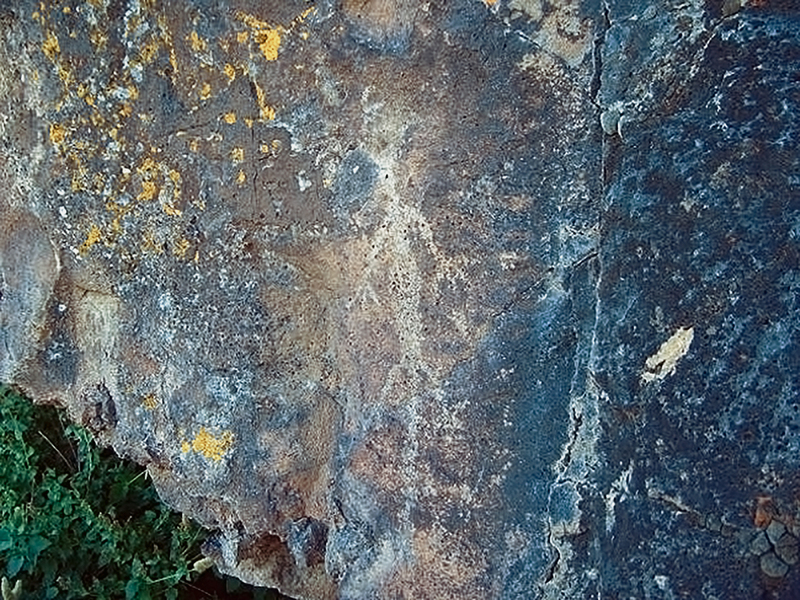 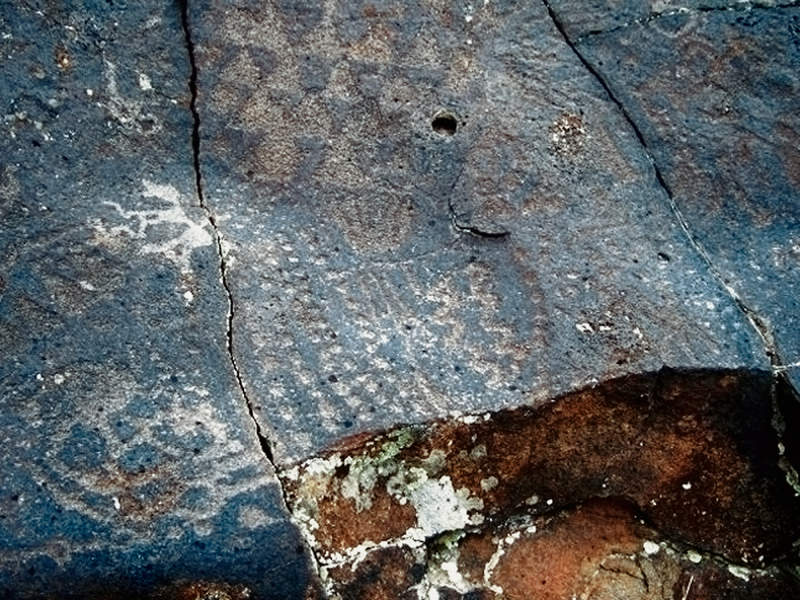 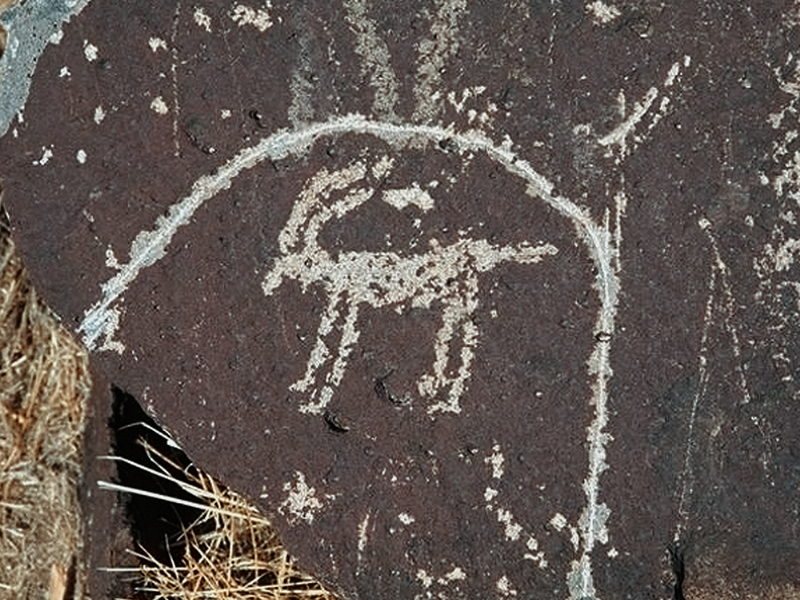 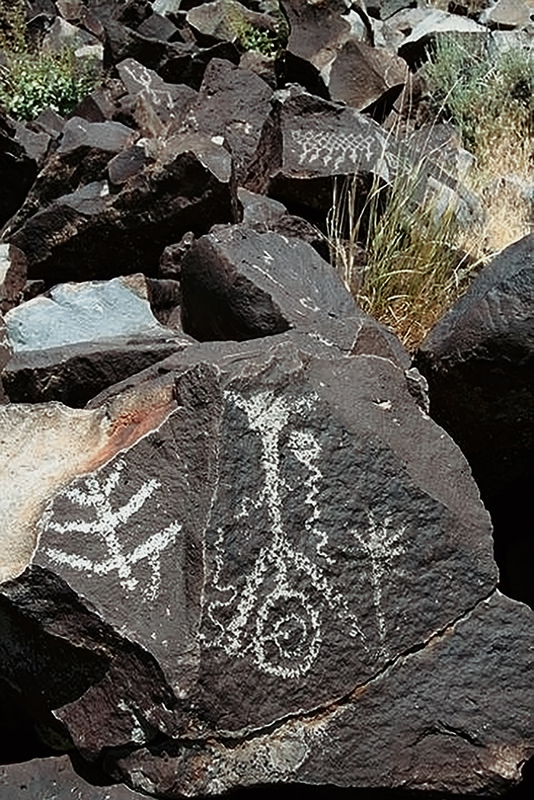 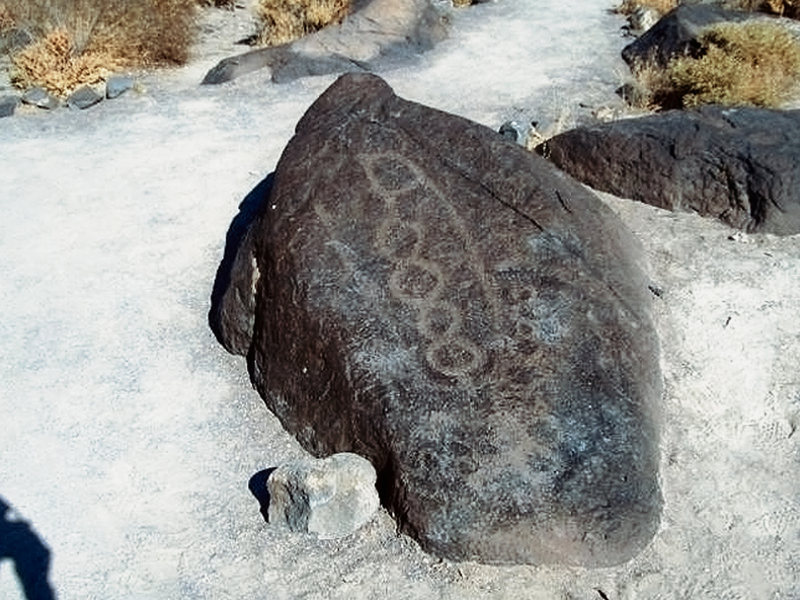 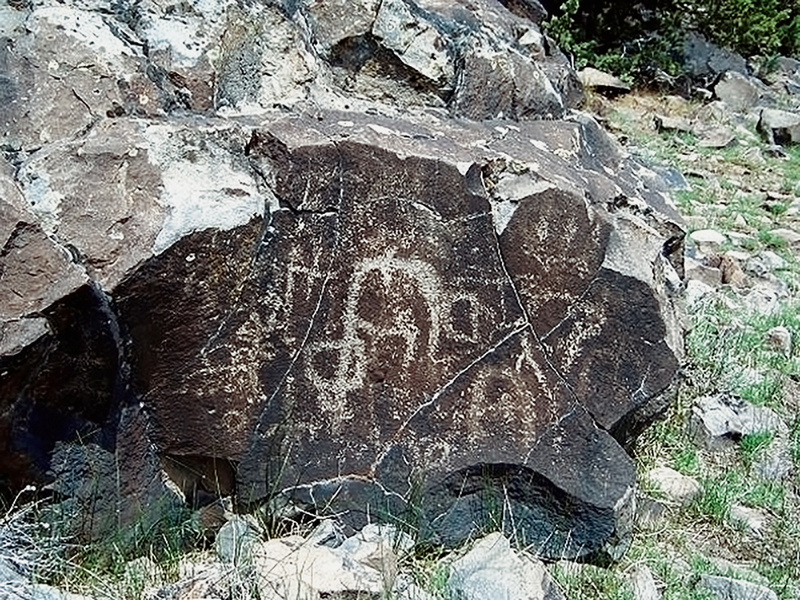 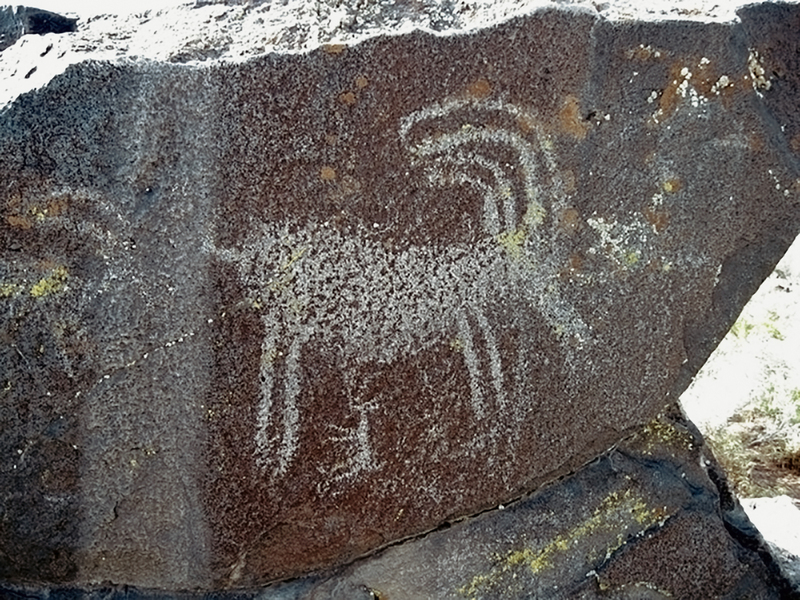 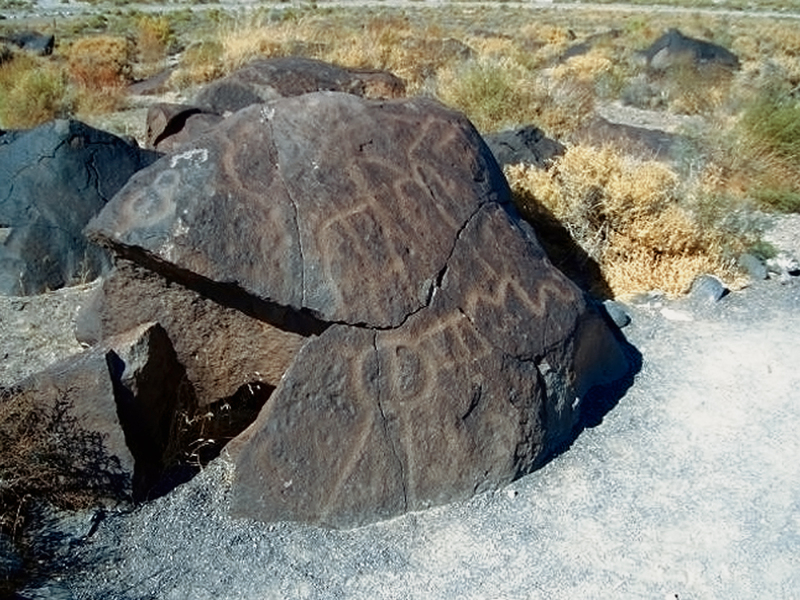 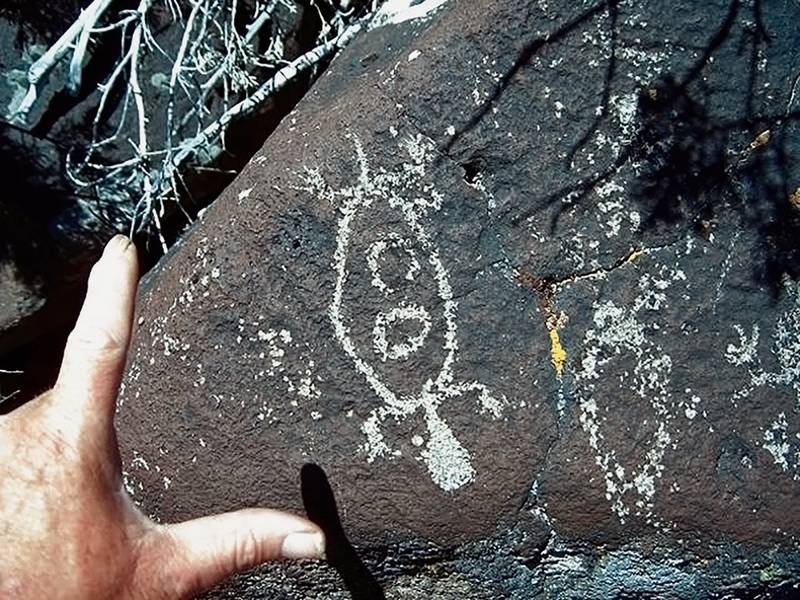 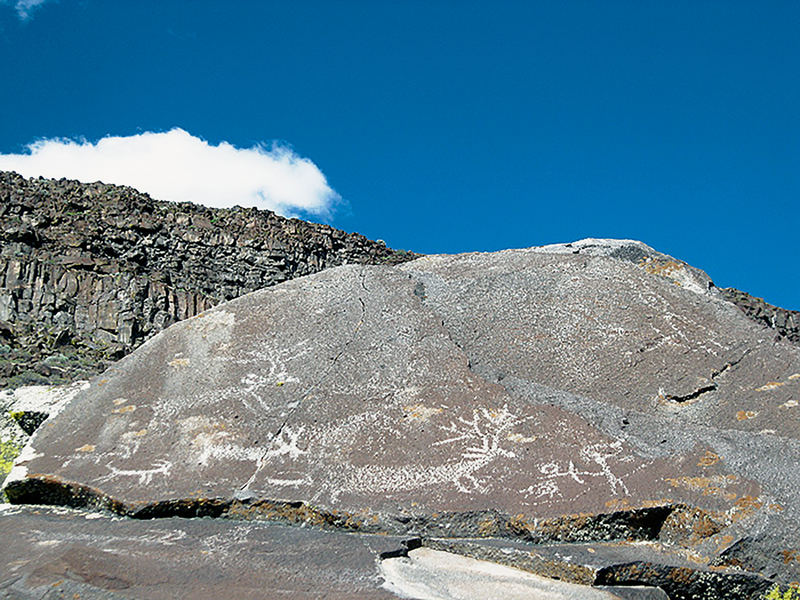 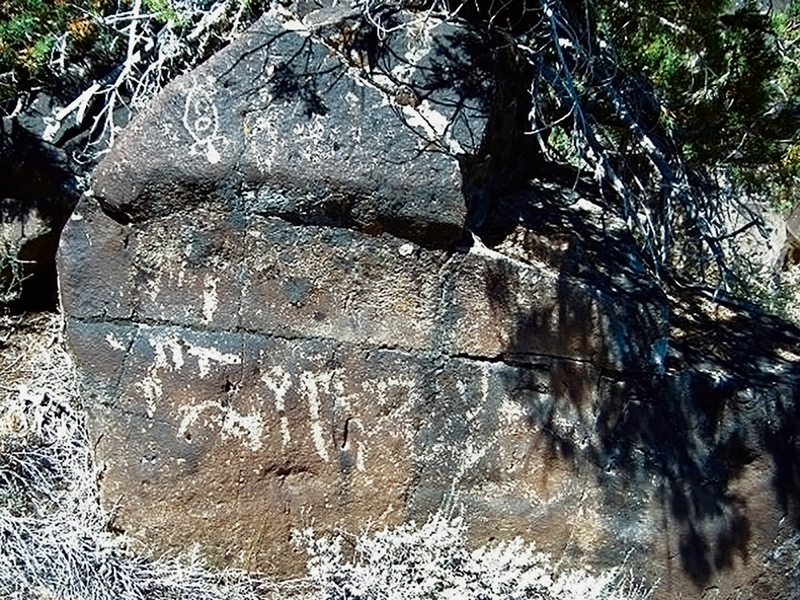 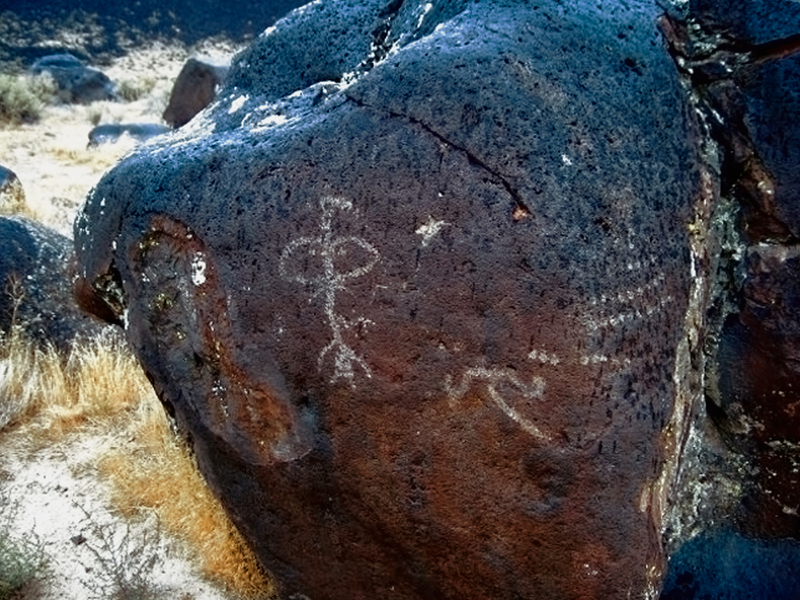 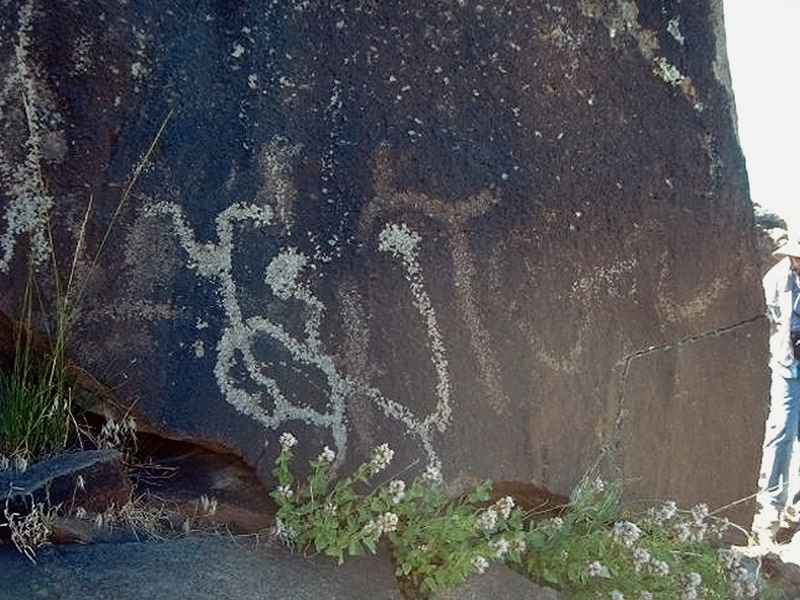 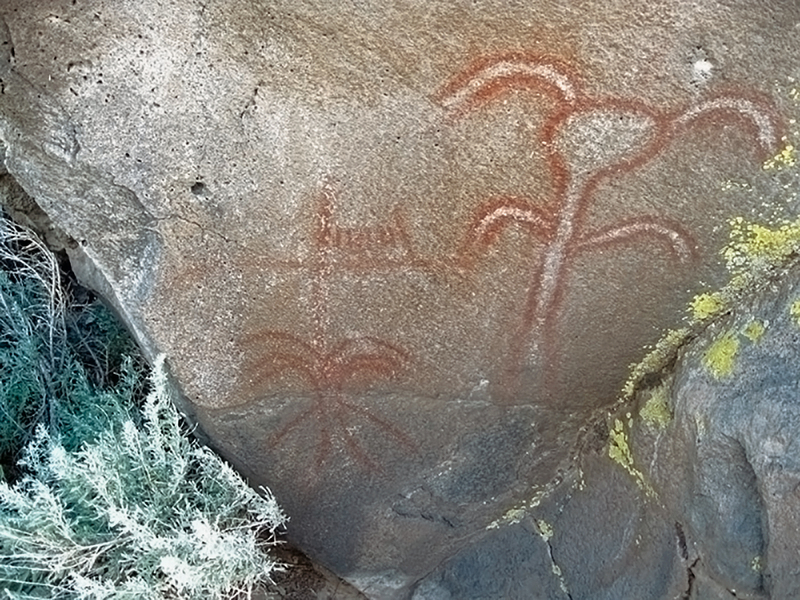 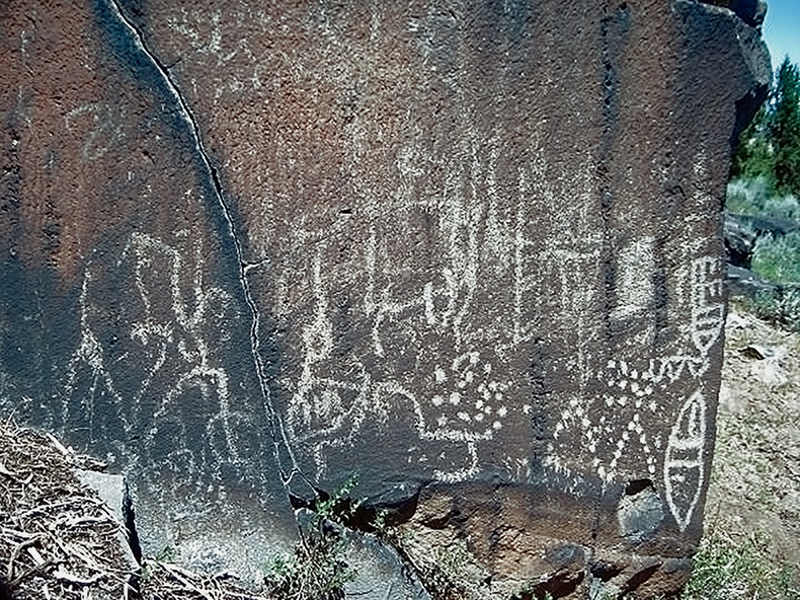 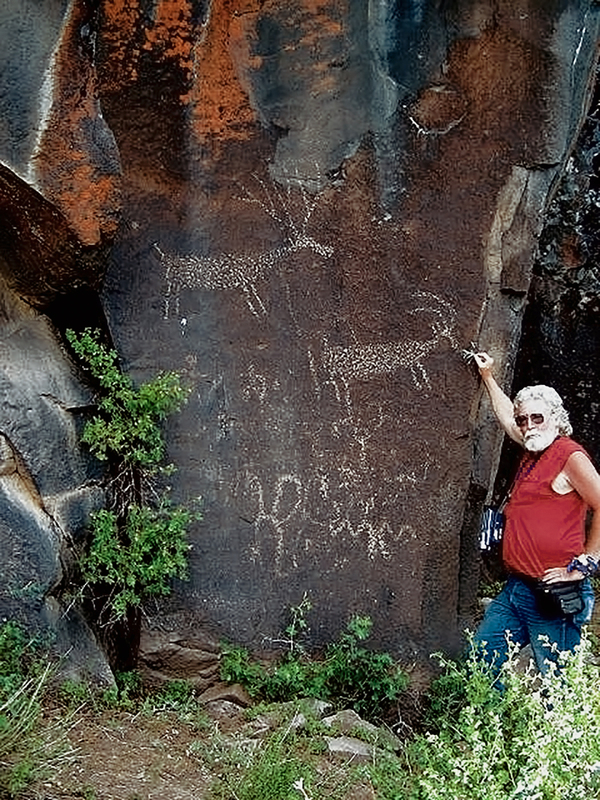 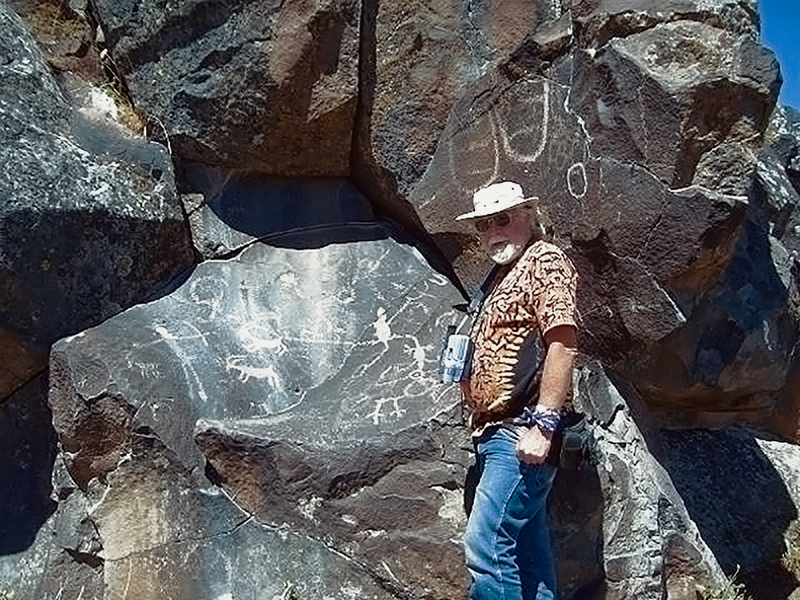 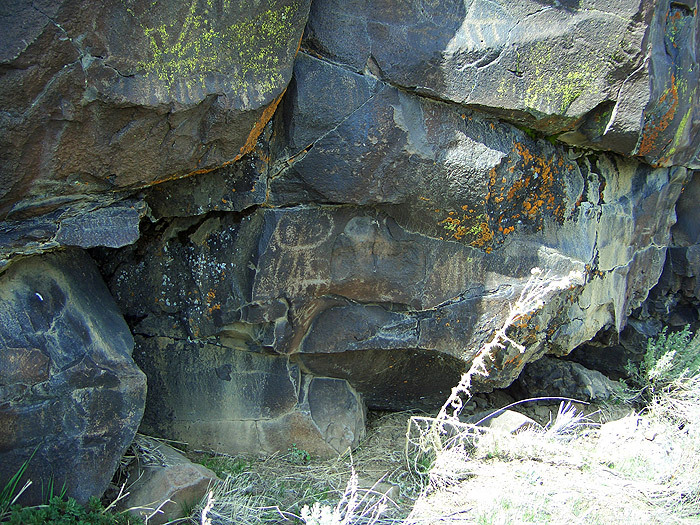 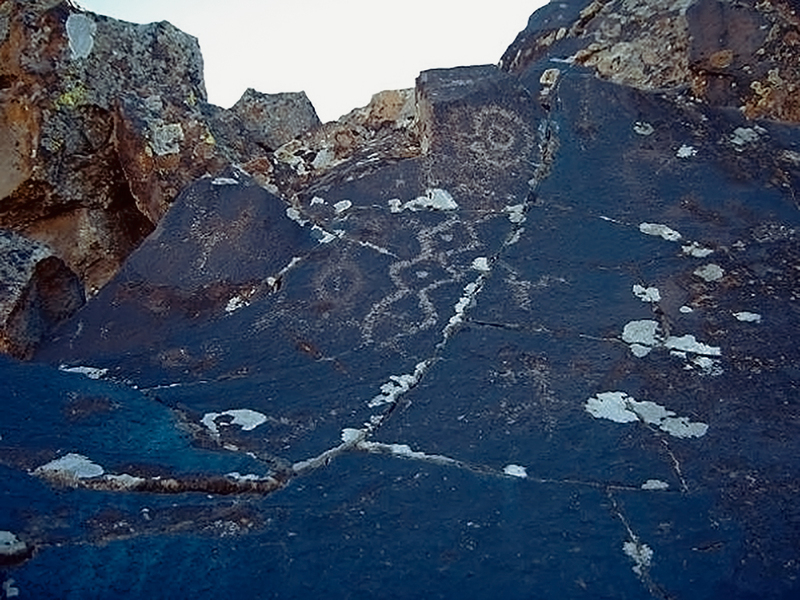 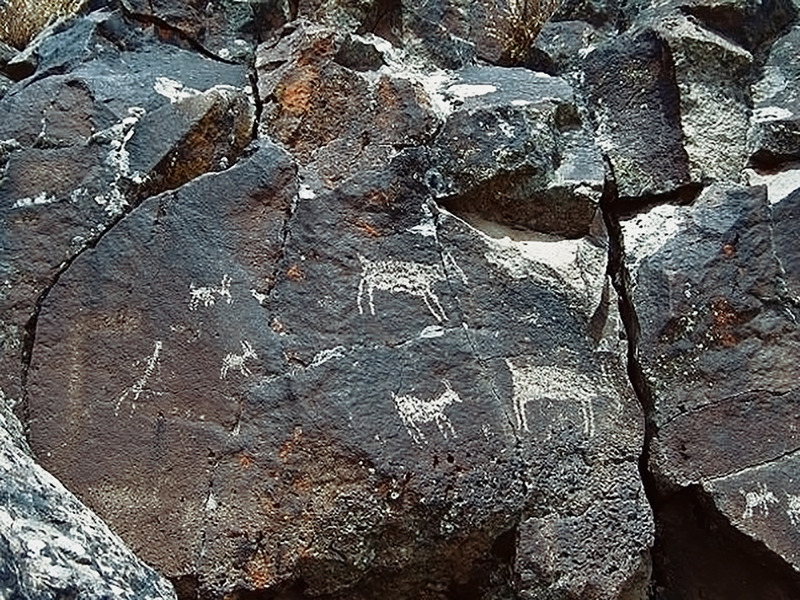 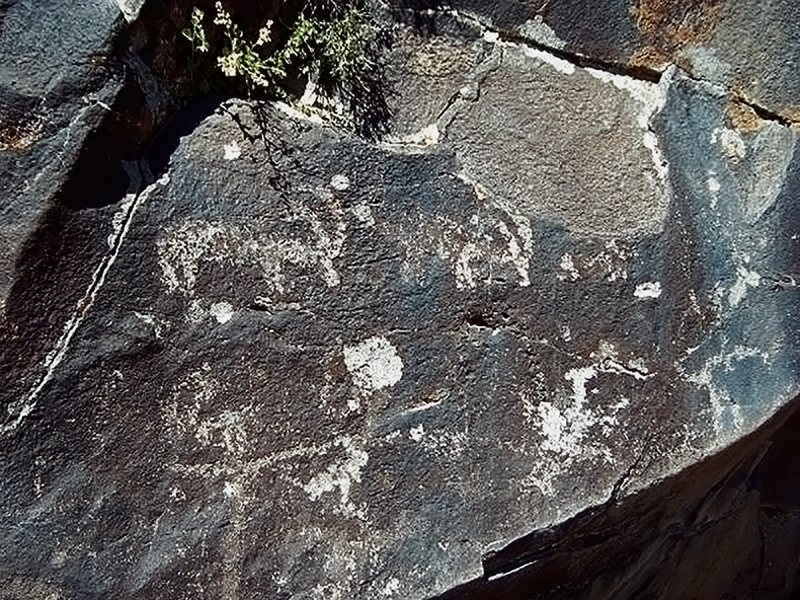 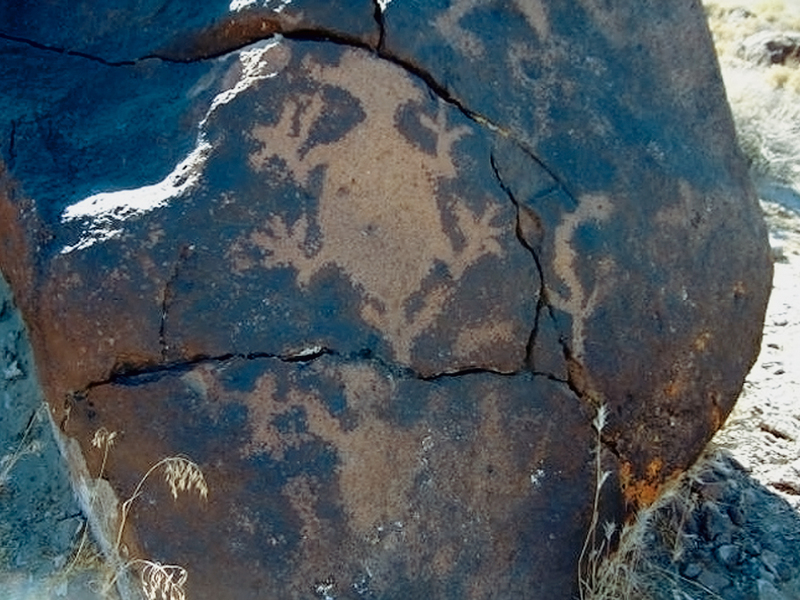 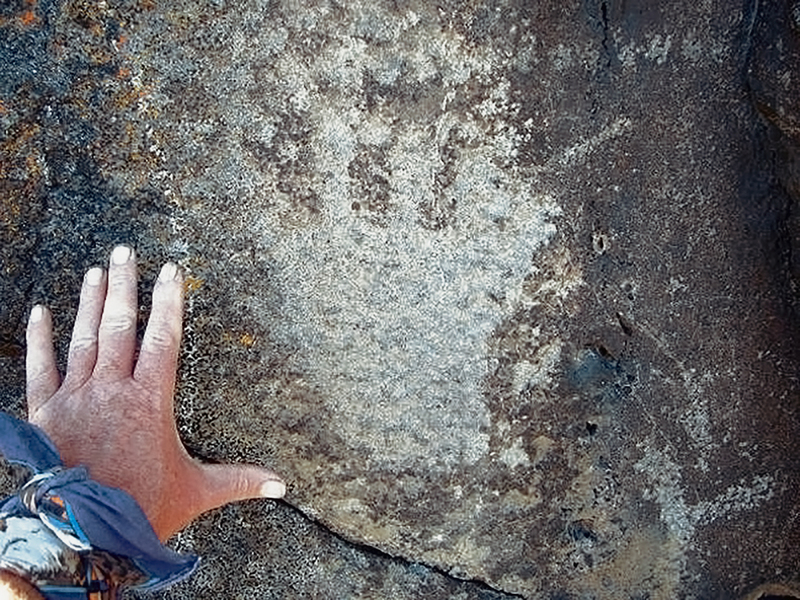 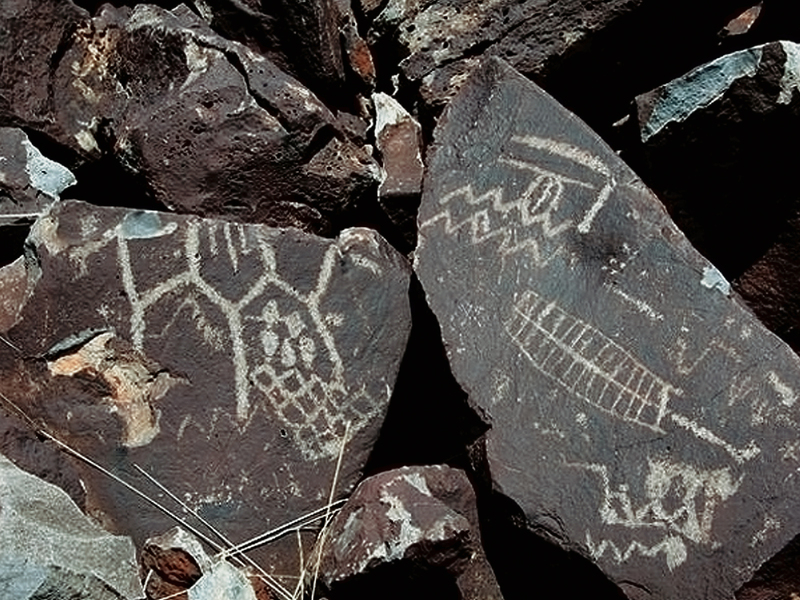 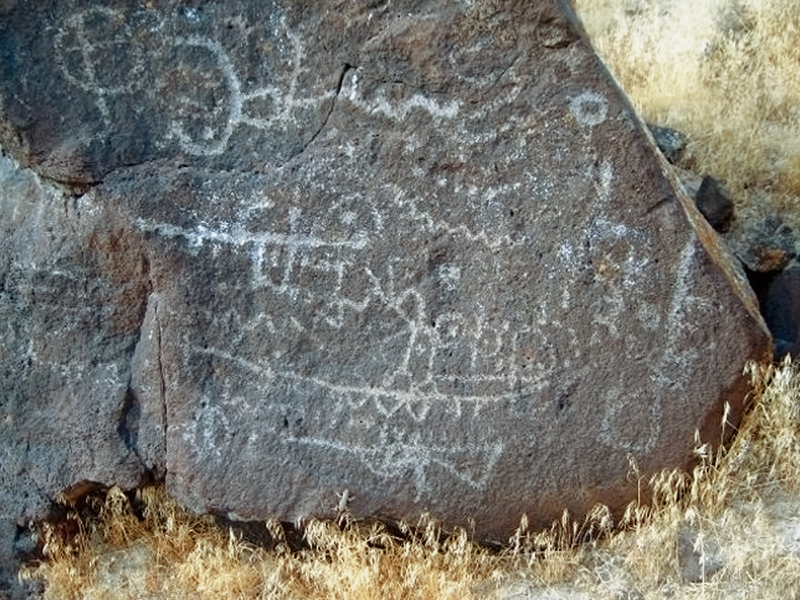 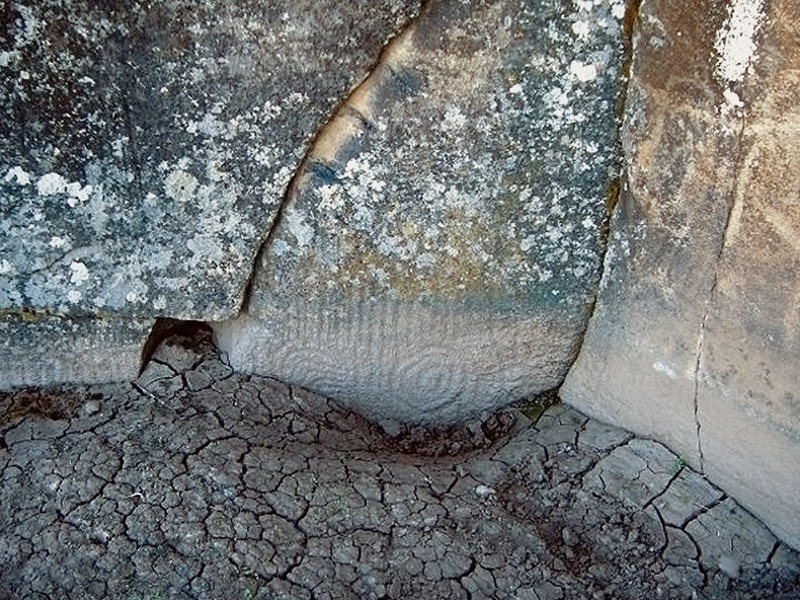 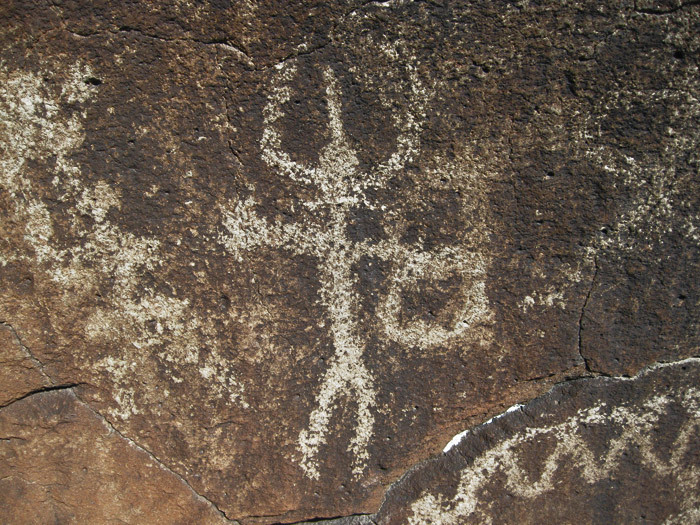 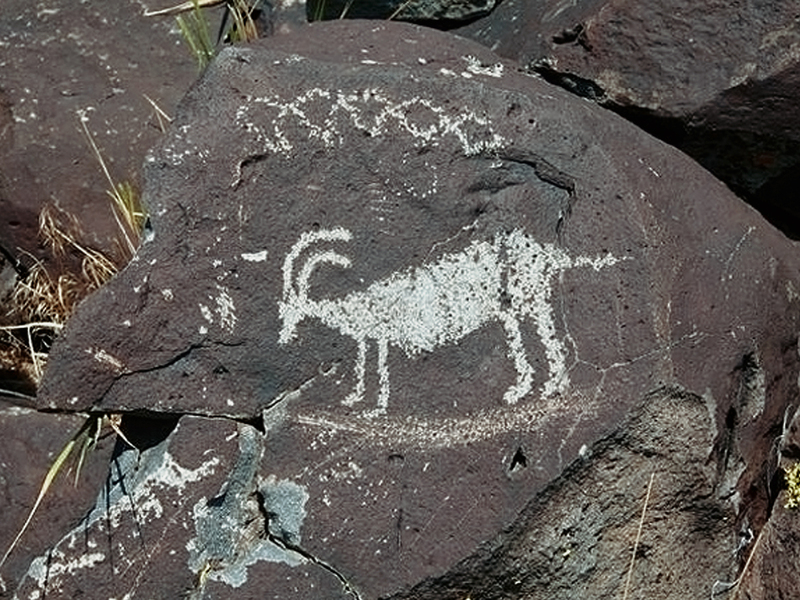 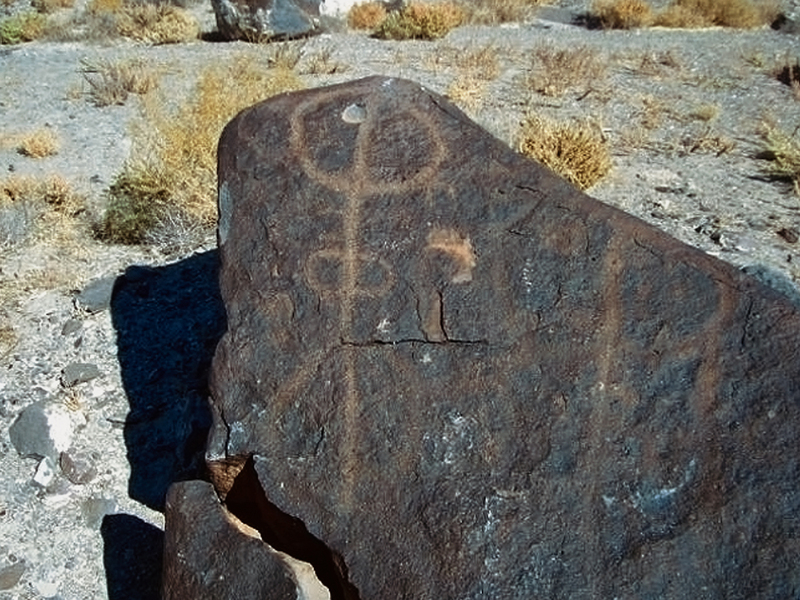 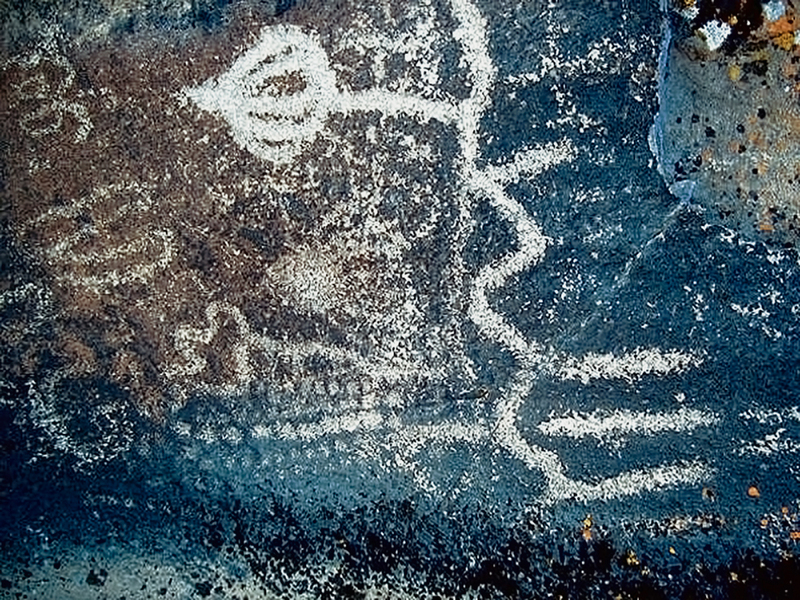 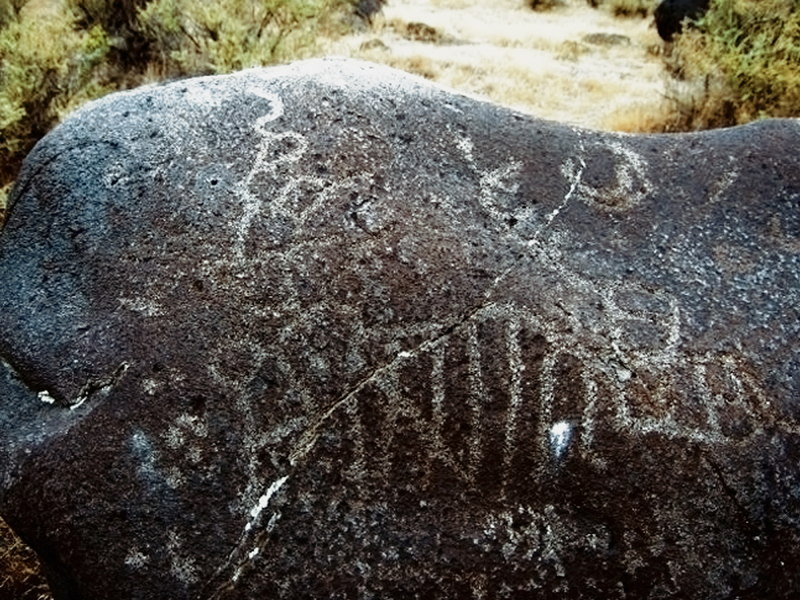 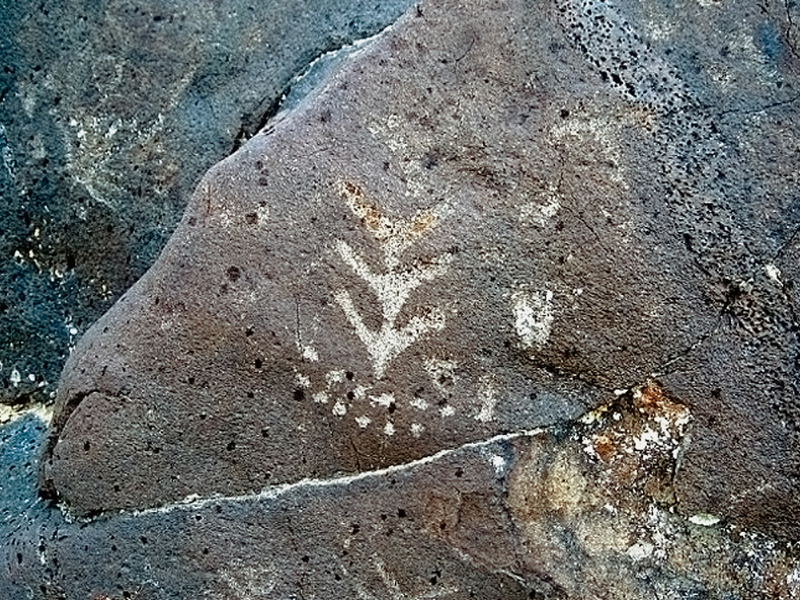 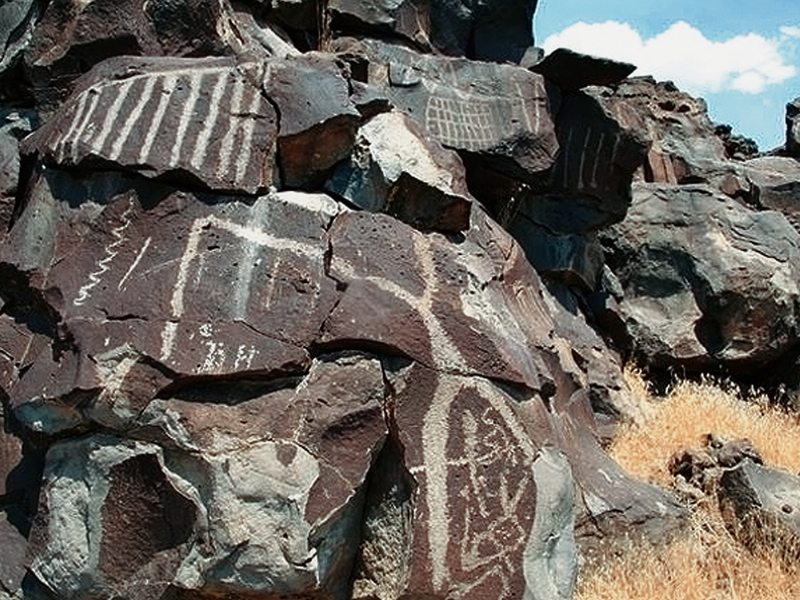 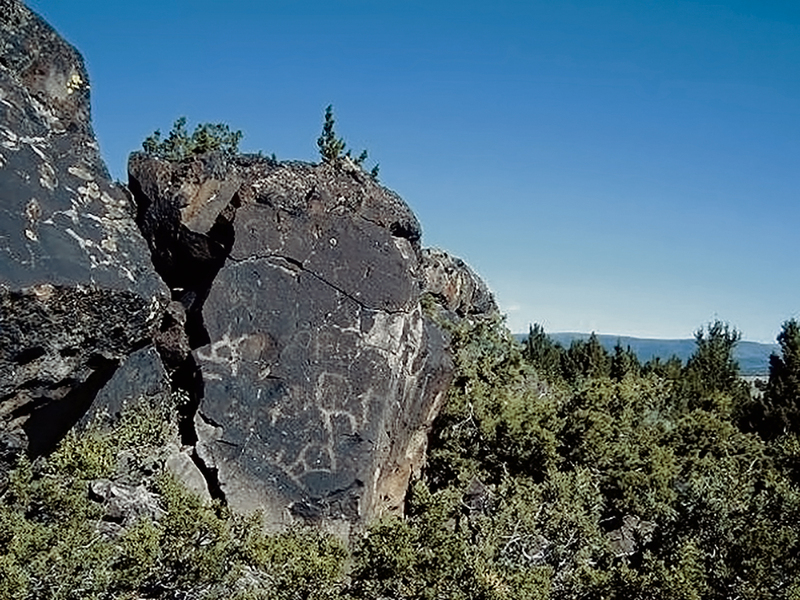 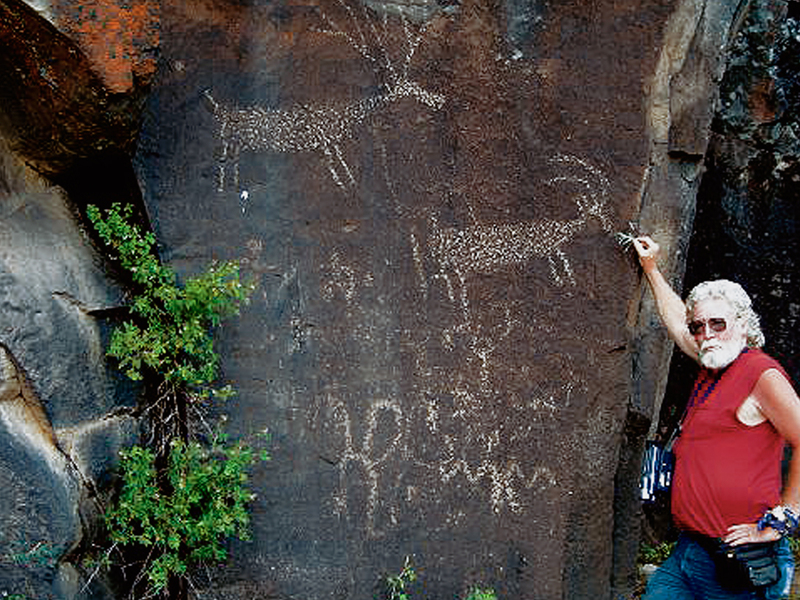 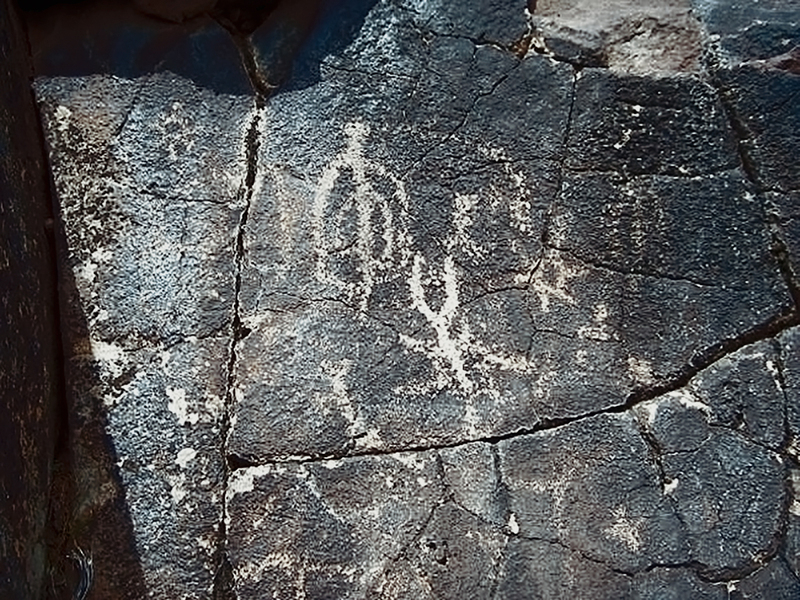 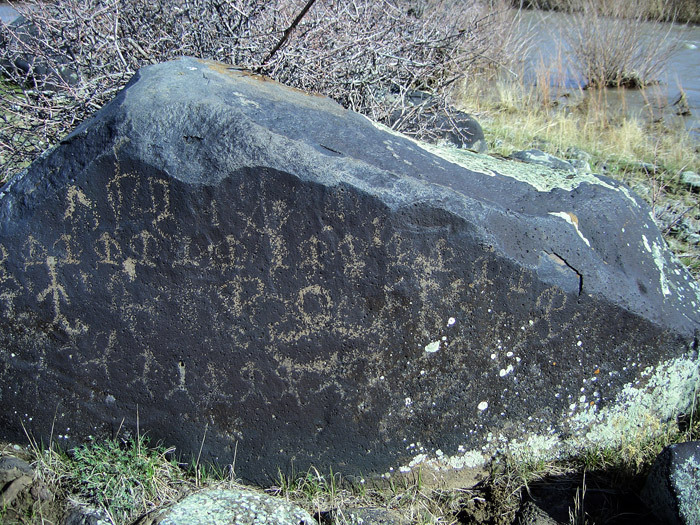 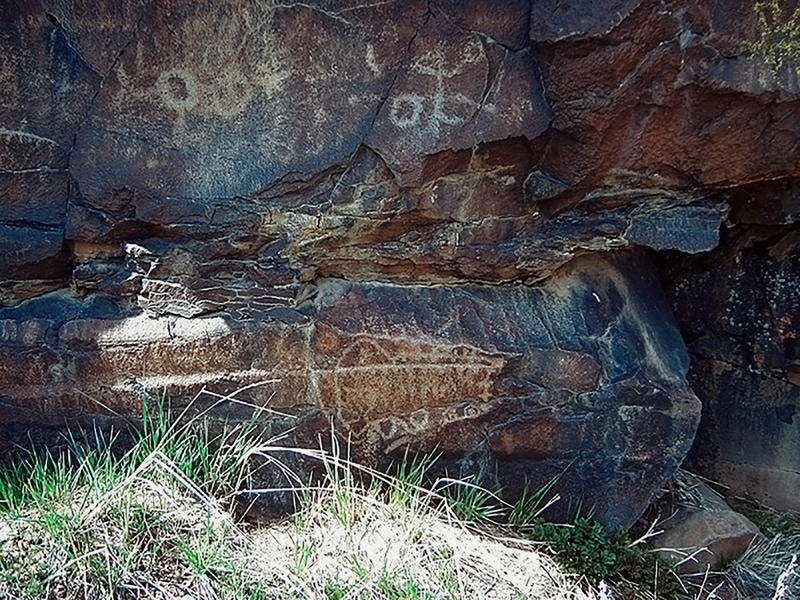 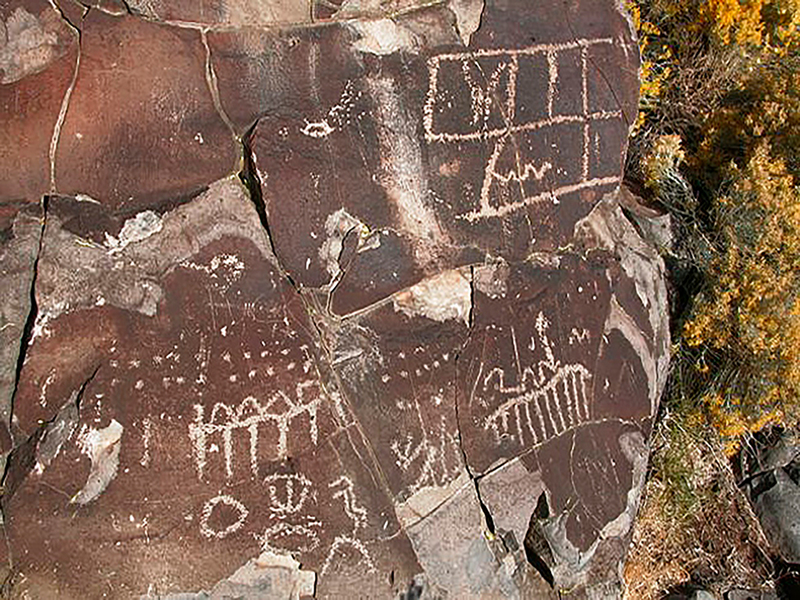 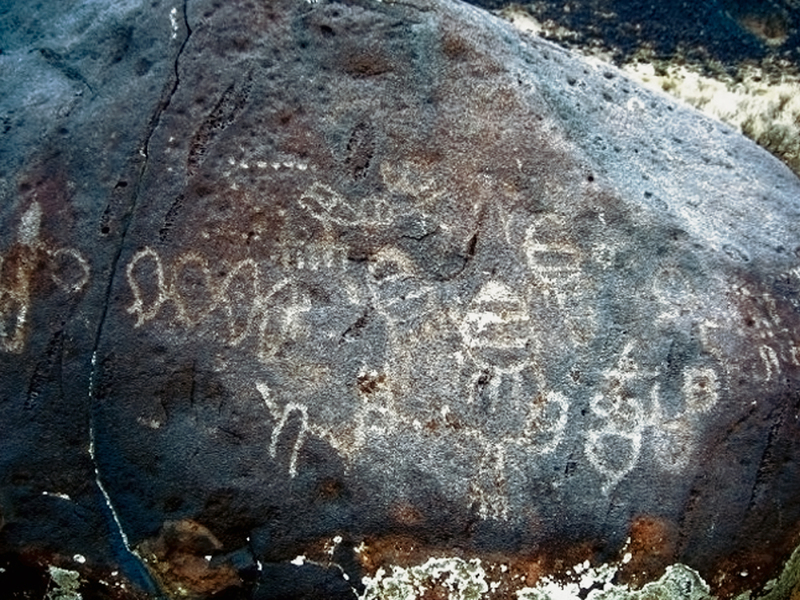 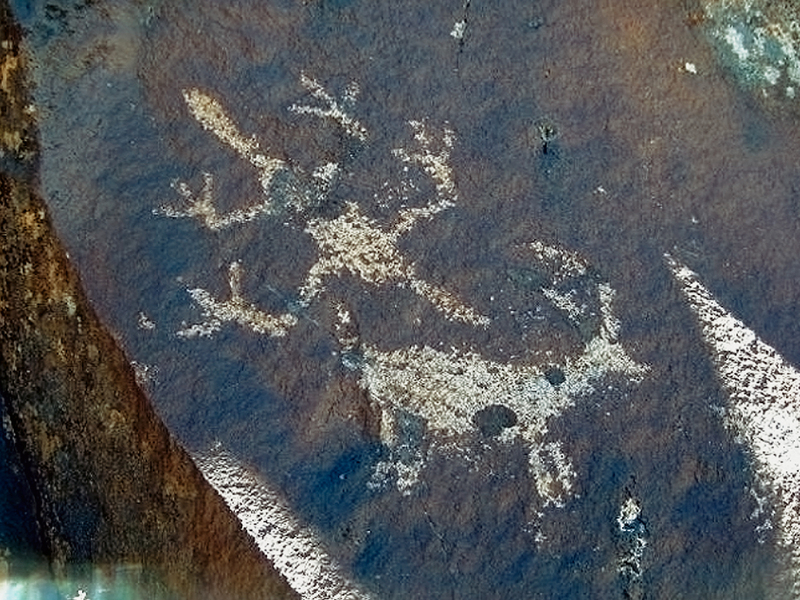 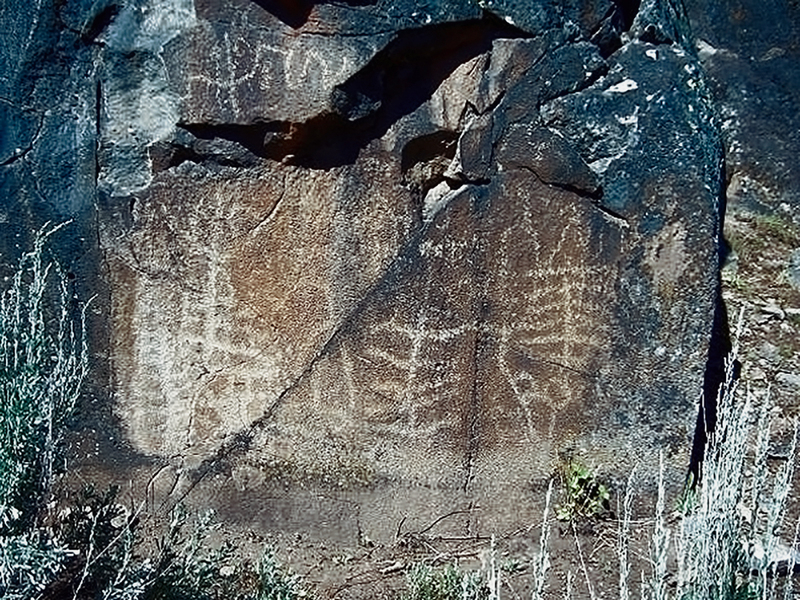 Petroglyphs in the Great Basin styles are found on the basalt rims surrounding many of the pluvial lakes, drainage areas and passageways between different geological altitudes in the area. 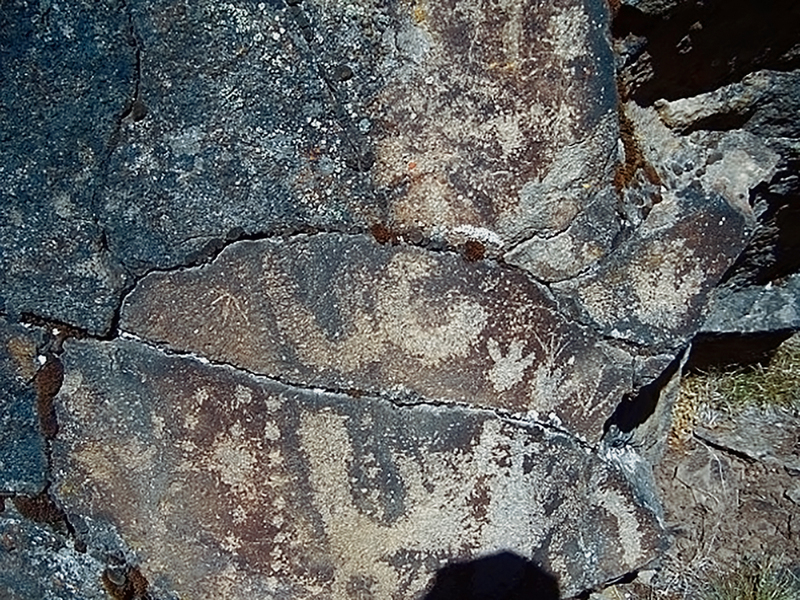 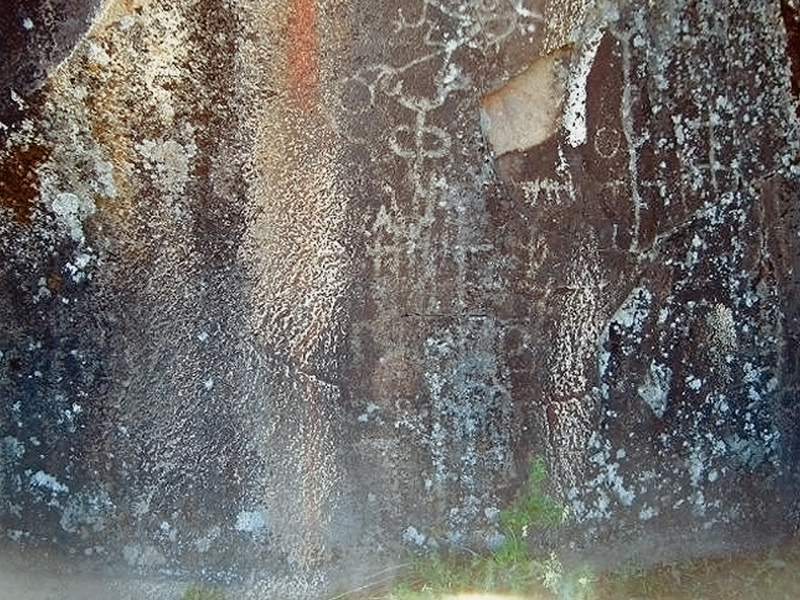 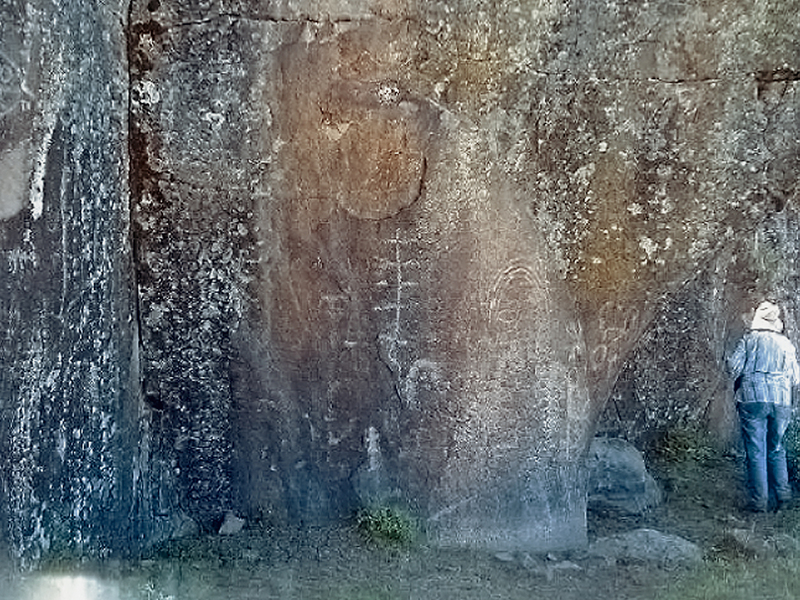 A few pictographs are also present.